Fantastic....thank you guys, I have made notes of all your recommendations. That delosperma looks rampant !! !....and very beautiful.......something to aspire to, sure isn't that what gardening is all about, learning a bit more every year. 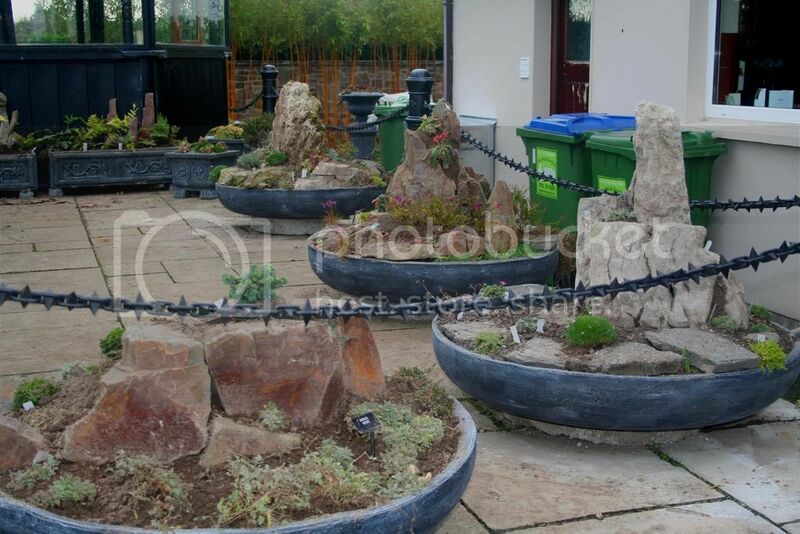 Link to Ian Young's absolutely brilliant blog, this one about crevice gardening in troughs. That blog is brilliant, KS, thanks. I'm not used to reading blogs - how would I access the previous blog he references, about making troughs? Here you go, Guy. 26 pages on different troughs. Four new troughs made up recently. I'm moving away from Crevice Gardens a bit now. They've just been filled with odds and ends for the moment. I'll plant them up properly in the Spring. I'm looking forward to seeing them develop. That sounds lovely, Ado 2. I look forward to a blooming picture!